When discussing waste recycling, it is common to think of everyday wastes such as paper, glass and organic matter as the only ones that can be transformed into something valuable. But with ever-changing trends and innovations in the world, other forms of waste such as concrete waste are coming up. The fact that it can be reused to make something else is hard to believe at first. Most building structures, roads and pavements today are designed with concrete as part of their structure. Even the modern ones that are made of lighter materials have concrete fixtures, illuminating the importance of this building material. In the true sense of the word, remnant concrete pieces are not ‘waste’. 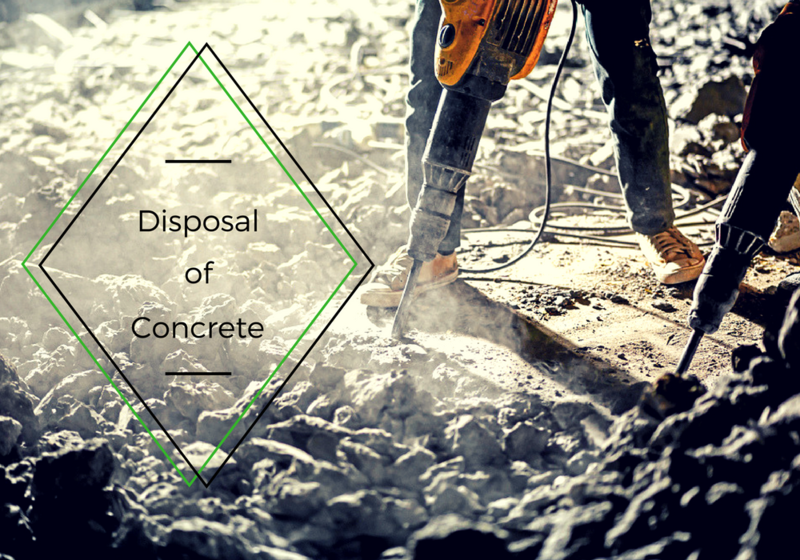 Concrete waste is basically the concrete that remains after most has been used for a particular purpose. It is also the concrete that amounts from demolition or renovation projects. It can be in any form-hardened or loose, ready-mix or precast, block or pipe. 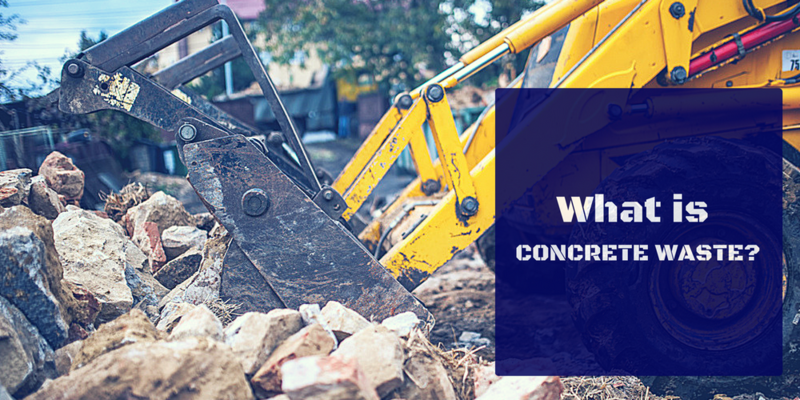 On most construction sites, waste concrete is piled in large heaps that grow in size as more is dumped. Concrete waste may or not be hazardous, depending on a few factors. Normal concrete waste i.e. remnant concrete without any additional chemical components is not hazardous. That is why concrete heaps on construction sites can stay for as long as the project takes before being hauled away to a landfill. Concrete waste from walls painted with lead-based paints is, on the other hand, quite dangerous. Its lead content is a contaminant for soil, plants, and humans. Can concrete waste be recycled? As a matter of fact, yes. For years now, the recycling of concrete waste has been taking place, with many industries incorporating it in their production systems. Hardened concrete can be broken down using a concrete crusher to form new stones for base aggregate while loose or fresh concrete can be mixed at standard variations with new concrete and reused. Prior to this, most concrete users always piled their excess concrete in big heaps before taking them to the landfill, where they would be discarded and forgotten. People have now realised that concrete is of double importance, both before and after use. What can recycled concrete be used for? When starting construction on a new road, recycled concrete can be used as sub base gravel in the lowest layer and then covered with fresh concrete or asphalt. Smaller stones from recycled concrete can also be used as aggregate for new road concrete mixtures. After being recycled or reclaimed, concrete can then be used as a raw material during construction of new buildings. This is especially true for construction sites located far from sources of quarried stone. Engineers on such sites use the stones as new aggregate while making new concrete mixtures for building projects. Concrete waste is commonly used in cage and cylindrical gabions, which are used in a number of areas such river embankments to control erosion, in road construction to support roads on mountainsides, in the military to create temporary fences for war-gunfire exchange and in everyday landscaping to create privacy walls. Gabions are made by filling cubical or cylindrical wire cages with stone and stacking it together. Larger pieces of recycled concrete can be used to create riprap revetments along stream and river banks to control the destructive effects of increasing water height. With large amounts of concrete waste, there are many options of disposal including reuse, deposition on landfills and recycling. While some people prefer to have the concrete waste crushed onsite like in the case of reuse, most prefer the easier option of having it hauled away to landfills and recycling plants. With that option, two options are available. You can hire a truck and have the concrete waste loaded on it or hire a skip bin and have it placed on your site. For both options, the waste gets to be put away with as much care as possible. 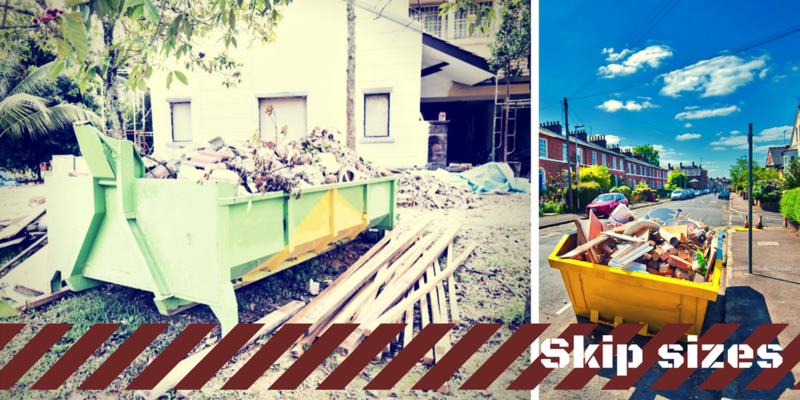 Economics and ease considered, using skip bins to handle your concrete waste is the better option of the two. Why is it a wise decision to hire a skip bin for concrete waste? There are lots of reasons why skip bins make for a better option when handling concrete waste. Some of the major ones are shown below. They can carry a lot of waste at once. Depending on the size of the skip bin hired, large amounts of waste can be placed in it without filling it up. Medium sizes can take up to 80 bags of waste before getting full while larger ones can go up to 150 bags in one take. For some projects, all the waste concrete can be taken away in one round. They are more economical. Unlike trucks that have to be hired everytime the concrete waste piles up, skip bins are hired once from the skip hire company to take up wastes for a long period of time. Skip hire companies also collect these bins when they fill up, further lowering the cost of moving them to the recycling plant. Are readily available and can take in other forms of waste. Once you hire a skip bin, it is available to you at anytime unlike trucks, which may not easily access some areas. True to their function as skip bins, they are also designed to carry all types of waste with the exception of a few materials. That allows you to use them for not only carrying concrete to recycling plants but also carrying other wastes such as metal, glass and paper. Skip sizes recommended for concrete waste. The size of skip required depends on the size of the project in question. Smaller skip sizes ( 20-50 bags) are ideal for low scale construction projects in homes such as landscaping. The larger sizes can carry over 100 bags of waste in one take and are ideal for larger projects such a high rise building construction sites. Have it done professionally. It is best to hire professional to load the concrete waste. They come with the tight protective gear and save you a lot of time. Most skip hire companies are equipped for handling all types of wastes. Inform the collectors whether or not the concrete has some chemical compositions. This is more of a requirement for concrete containing chemicals such as lead. This information is required to determine whether the waste is fit for recycling or not. Well, there you are! Concrete can not only be recycled; it can also be reused for a number of things. You now know why a skip bin is the better option for concrete waste handling, and know how to get one on your site. What are you still waiting for? Hire a skip bin today and have your concrete waste hauled away for you.